Abby Johnson's stockpicker-in-chief is shifting to a new role, and it's not yet clear who will fill his old shoes at the Boston Behemoth. 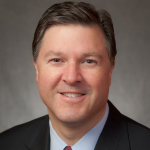 Brian Hogan, president of Fidelity Investments' [profile] equity and high-yield division, is shifting to Kathy Murphy's division, Fidelity's personal investing unit, the Wall Street Journal reports. There is no word yet on who will take over the Boston-based mutual fund giant's equity business. Fidelity asset management president Charlie Morrison, a company spokesperson tells the WSJ, is "evaluating next steps for the leadership" of Fidelity's stockpicking division. Fidelity is hunting for a new equities chief, Fidelity spokesman Vin Loporchio tells Bloomberg. Meanwhile, Hogan will shift into his new role this quarter, while continuing to lead the equity unit during the transition, Loporchio tells Reuters. Hogan's new role in personal investing, according to the WSJ, will be head of investment solutions and innovation. Personal investing includes Fidelity's direct online and in-person brokerage business and IRAs. Hogan succeeds Bart Grenier, who will become Fidelity International's global head of asset management and will move to London. Hogan's shift comes after Fidelity's stockpicking unit came under fire in the fall over sexual harassment claims against two then-PMs. Hogan reportedly held an emergency meeting about the company's zero tolerance policy for harassment, and Fidelity chief Abby Johnson herself moved her desk to the equity division's floor and conveyed a similar zero tolerance message in a video message to Fidelity employees. #MeToo has definitely come to asset management. 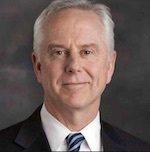 Hogan joined Fidelity in 1994 as a bond analyst. He shifted to the equity division in 1998, and he has led the division since 2009.